A fundamental part of effectively managing a stream is knowing what the problems are and where they exist. A Stream Corridor Assessment is a method to document the conditions in the stream and prioritize actions to improve or protect the stream’s health. 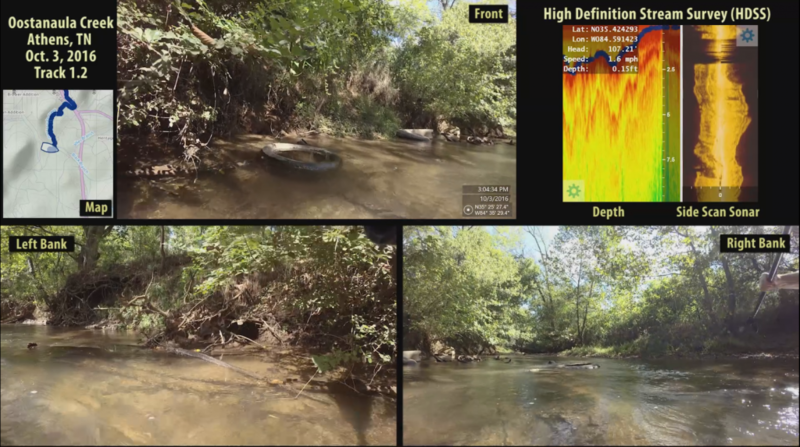 The HDSS approach is well-suited for collecting, documenting, and prioritizing conditions in a stream corridor. 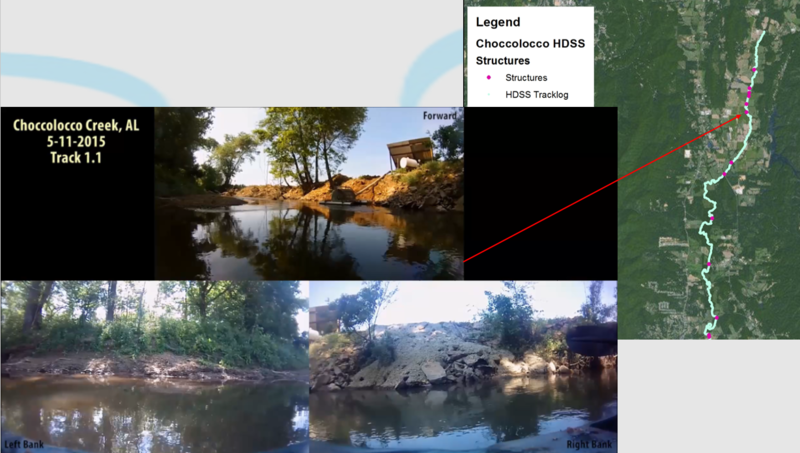 HDSS provides high-definition video of the stream corridor linked to a database of information that is easily mapped in GIS software (Figure 1). Figure 1. HDSS links video, data, and maps in one system. Here you can see a broken pipe crossing a stream. The visual image is more informative than the map or data in this case. 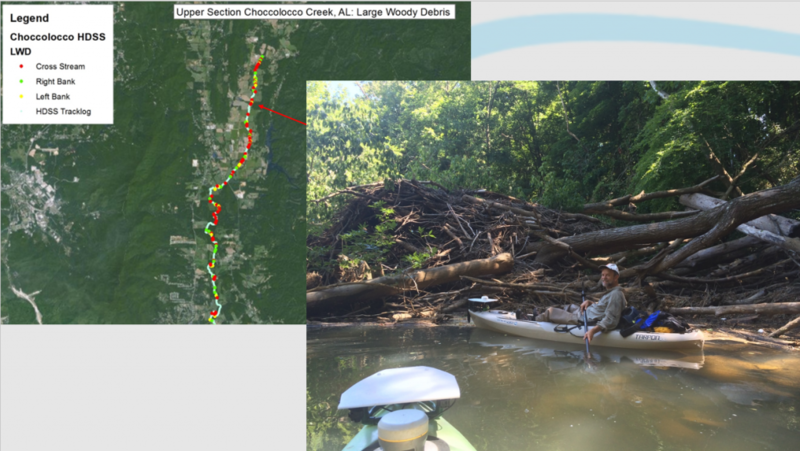 A wide variety of conditions can be classified from the HDSS video like locating large woody debris and log jams (Figure 2), water intakes and poor streambank conditions (Figure 3), or trash (Figure 4) to name a few. Figure 2. A log jam documented during an HDSS project. These are typically found downstream of unstable streambank areas. Figure 3. An example of a water intake and poor streambank conditions from an HDSS project. This would be a good location to talk with the landowner about better ways to protect the land from erosion. An example of trash (tires) observed during an HDSS project. Knowing the location of trash can facilitate stream clean-up efforts.